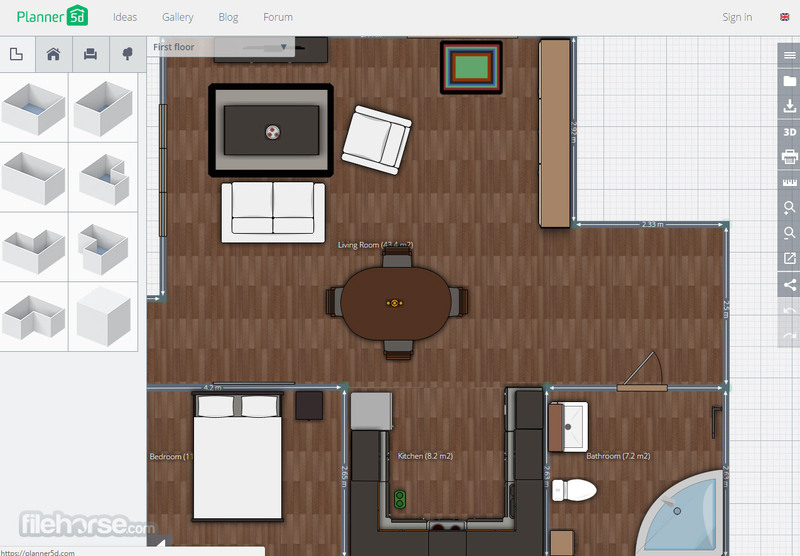 Planner 5D is a web-based editor that can create beautiful floor plans and interior designs with incredible ease. Using intuitive interface, focus on drag & drop objects, extensive array of various furniture and home decor, and ability to instantly share your creations to your friends, Planner 5D definetley represents the best possible way to visualize your dream home. 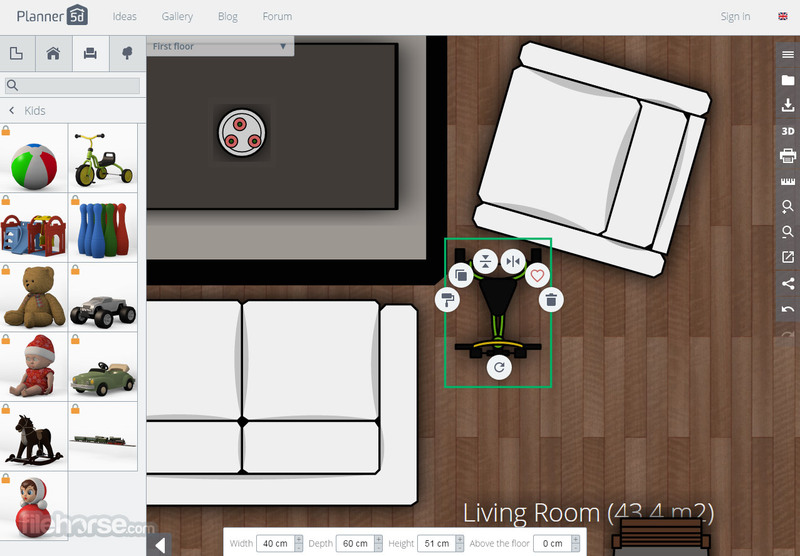 Create beautiful floor plans and interior designs online! Planner 5D is a tool for homeowners, realtors, hotels, malls, stores and future home owners who want to quickly and efortresly create professional looking designs. Because Planner 5D uses all advantages of cloud computing (collaboration, sharing, embedding on websites), it can be accessed from any type of modern home or portable devices (PC, Mac, Laptops, tablets or even built-in TV browsers). Visualize the home of your dreams effortlessly with Planner 5D! Designign a look of your home is not an easy task if you don’t have help, but if you own any of the modern internet-connected devices, you can rid yourself from worry and frustration and easily create floorplan of your living space that you can experiment with to no end, and see results rendered before you in eye-catching 3D showcase that will easily show you how your current come can be changed, how you will organize your furnishing in new apartment, or all the possibilities you can create with your new home that is still not built. Create beautiful floor plans and interior designs online! All of that and much more is available in the online editor Planner 5D which gives everyone chance to easily create home floor plans directly inside their web browsers. With great tools, large catalogue of home objects and furnishings, eye-catching rendering engine and large gallery that can give you inspiration, this tool represents one of the best ways you can start planning the new look of your home. Planner 5D is a highly intuitive home floor-planning editor that was built from the ground up to be as intuitive as possible in helping users of all knowledge levels to easily create their dream space in minutes. Utilizing well-crafter editor and streamlined controls, anyone can quickly create beautiful floor plans of not only their apartment or house, but also any other real estate property they want, including hotel rooms and floor plans, mall business spaces, realtor properties and much more. By having ability to easily create floor plan that is has decorations and furnishings, anyone will be able to see for themselves how their home will look after redecoration, renovation that couldchange anything form adding new window to adding entire new rooms or staircases. This tool is also highly useful for people that are planning to relocate in new home, enabling them to easily see where their old furniture will be placed, or for people who want to create plans of their dream home that is yet to be built. With Planner 5D all this is possible, providing that user has just a few minutes of free time and any of the numerous supported computing devices that can run this web app – home PC, laptop, smartphones, tablets (both iOS and Android), and even HDTVs and Consoles that have HTML5 compatible browsers in them. To expand compatibility with devices and browsers, Planner 5D does not require Flash or any other proprietary plugin. 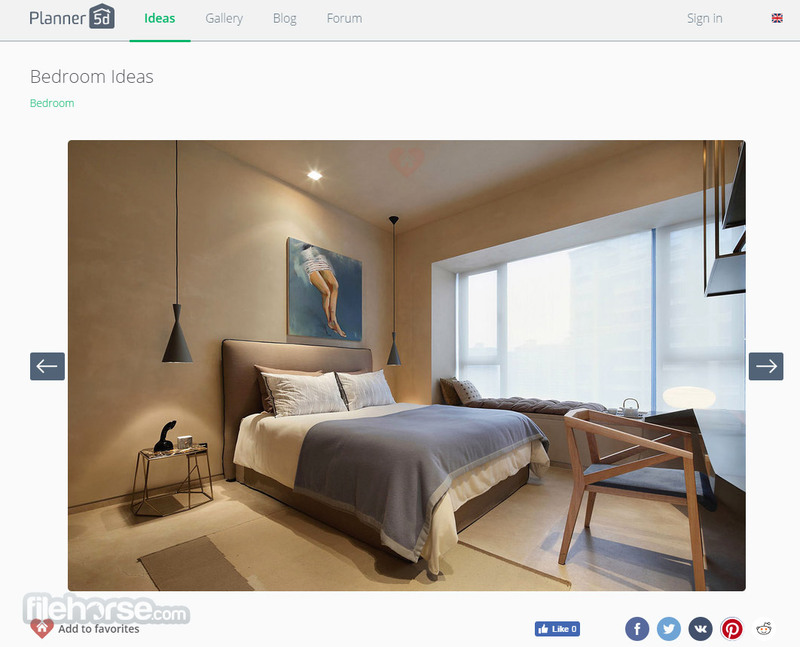 Create beautiful floor plans and interior designs online! Editor of Planner 5D has a three main areas – Toolbar on the right that is filled with interior and exterior objects such as construction elements (walls, rooms ,doors, windows, stairs, partitions…), exterior elements, furniture, electric appliances and many others. All those elements can be easily dragged and dropped on the 2D work area, and placed in perfect position of your choice. Lastly, small toolbar on the very right can be used for swathing between 2D and 3D rendering and accessing rulers, zoom tools, move tools and Undo/Redo. Planner 5D is a free webapp which requires you to register before you get access to all of its tools (demo area is available). New account can be made not only with email, but also using your credentials from Facebook, Twitter, Google, VKontakte and others. Planner 5D prides itself in being free, easy to use, and for having incredibly large gallery of pre-made content made by its community that can inspire any new visitor of this great website.